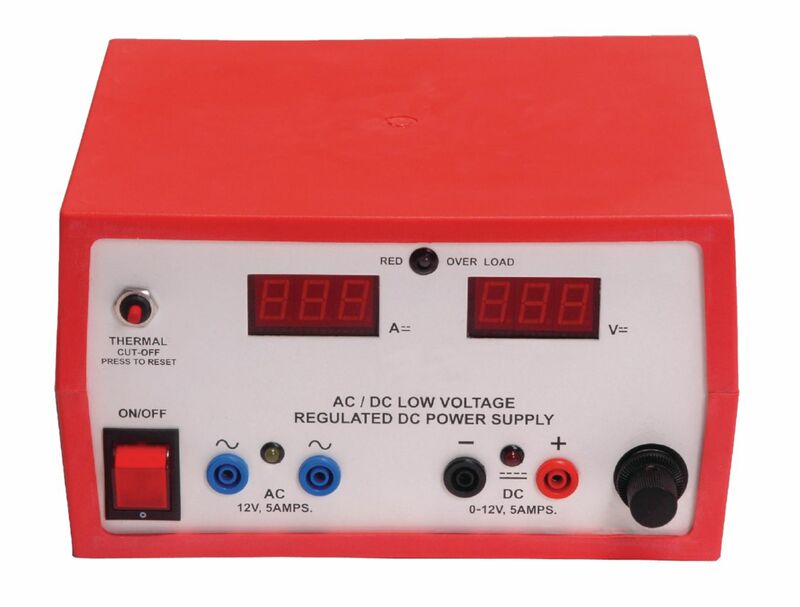 A convenient design for AC and DC experiments up to 5 amps. 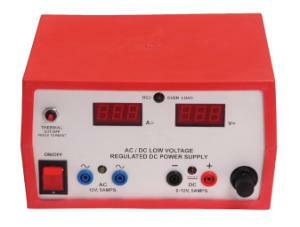 Use the two independent outputs on this power supply simultaneously. Both 12 VAC and 0–12 VDC outputs are regulated and continuously variable via the control knob on the right side of the front panel. Includes overload protection indicator, glass fuses at the input level, and one spare fuse at the mains input socket. CSA approved. Load: 0–100% at 100mV variations; Line regulation 105–130 VAC at 200mV variations.